The Lord equipped Vince and Marylil Spady to serve ABM in many ways from construction to tea parties. In 2002, Arctic Barnabas Ministries came with dream-come-true opportunities for them to return to native villages to help and encourage missionaries in the same way ministers encouraged them thirty years before! They know the challenges and isolation of bush living first-hand. Since childhood, Vince dreamed of moving to Alaska. Born and raised in Long Beach, California, Vince and Marylil enjoyed friendship in high school, dated in college, married in 1970, and then moved to Montana. With a B.A. from Cal State U. Long Beach, Vince taught school while Marylil completed her B.S. in Elem. Ed. at Montana State U. Two weeks after graduation in 1972, they headed for Alaska. 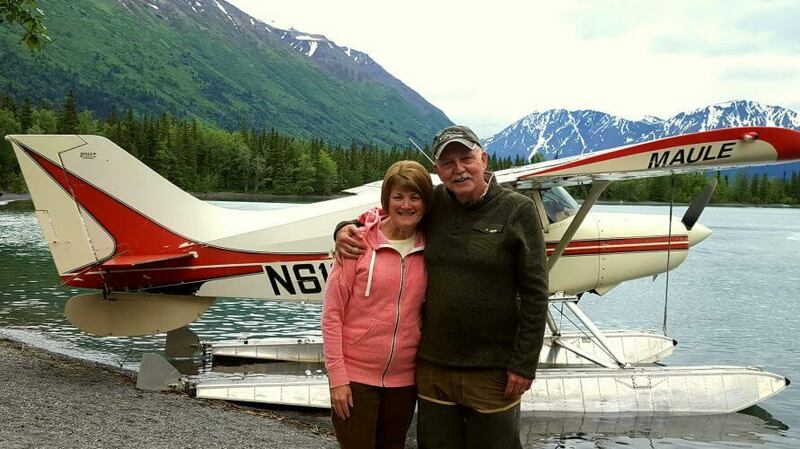 The great frontier beckoned them farther, and on their third day in-state they boarded a floatplane to the remote village of Sleetmute on the Kuskokwim River—home of 100 Native Alaskans and a two-teacher schoolhouse. The Spadys taught and nurtured thirty-five children and became part of the community for four years. Through the prayers and commitment of faithful missionaries from other villages, the Spadys came to a saving knowledge of Christ in 1976. As new Christians, they attended Multnomah Bible College in Portland OR, then returned to Soldotna, AK to serve the Lord as teachers, parent their three children, and do church lay ministry. Vince retired after twenty-three years of teaching and several years of commercial bush flying. Their two married daughters and eight grandchildren live in Placerville, California. Their son Joe lives in Soldotna. Vince and Marylil continue to live in their log house at Longmere Lake near Soldotna.